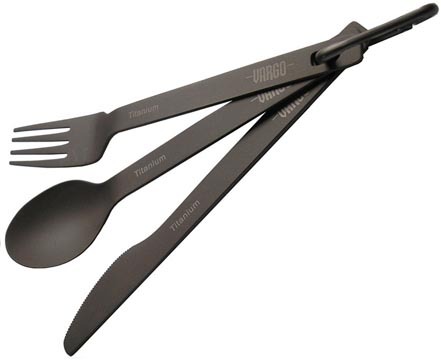 Spoon/Fork/Knife Set - Ultra Light Version. Each measures 6 1/4" overall. Matte finish. All three pieces held together with attachment clip. Weight: 1.3 ounces (37 grams).